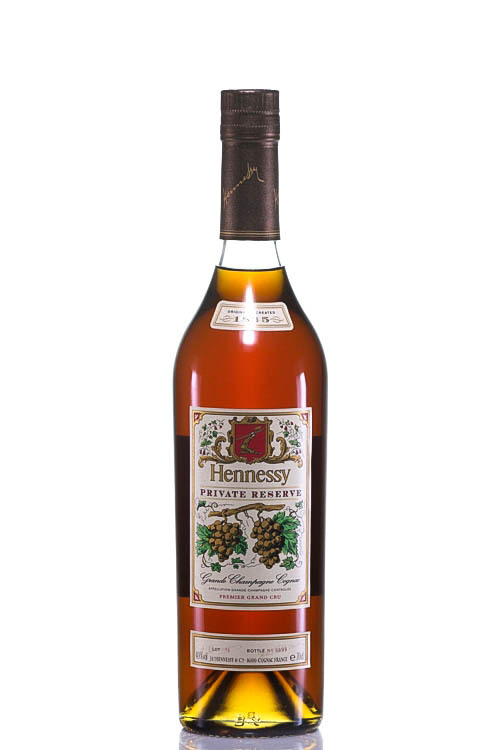 In 2005 Hennessy offered the new, limited edition Private Reserve, a revival of the Cognac originally formulated in 1865 to celebrate the 100th birthday of Hennessy Cognac with family, friends and true aficianados. Hennessy Private Reserve is an assembly of eleven Eaux-de-vie from fruit grown within the distinguished commune of Grande Champagne, one of the most exclusive grape growing appellations in all France. This rare blend has matured 60 years with a small portion 1865 as the oldest component. 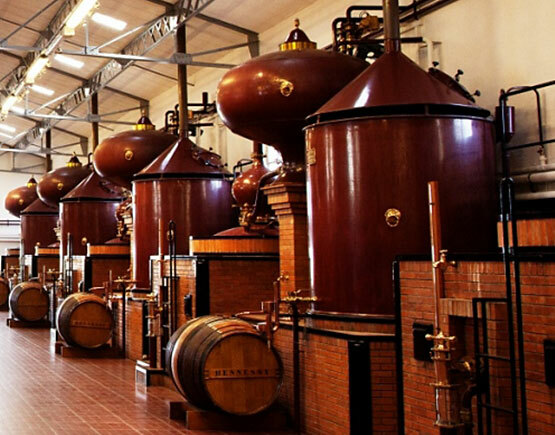 Hennessy is the most successful Cognac house in the world – in terms of sales. 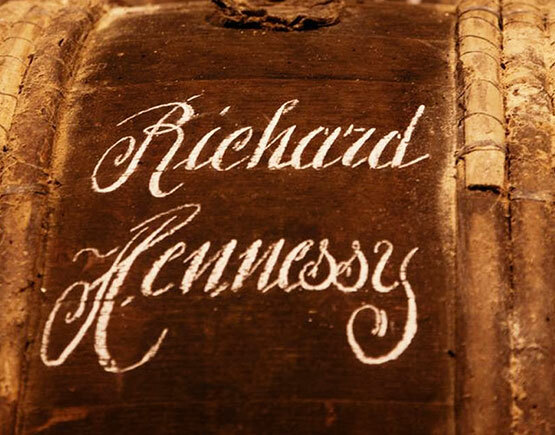 Richard Hennessy came from Ireland to Charente and founded the merchant house in 1765; he mainly traded with wine and his son, James Hennessy, started with distilling later on. 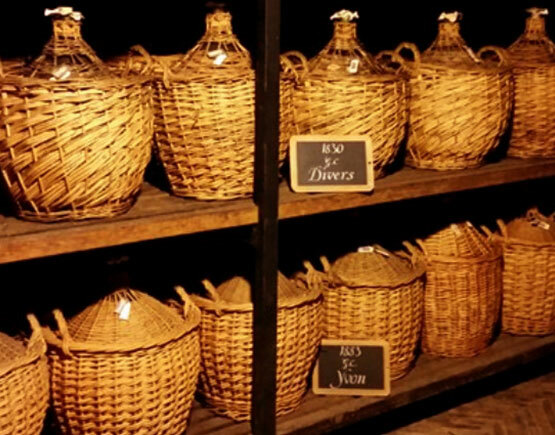 By the end of the 18th century the company already exported their eaux-de-vie. 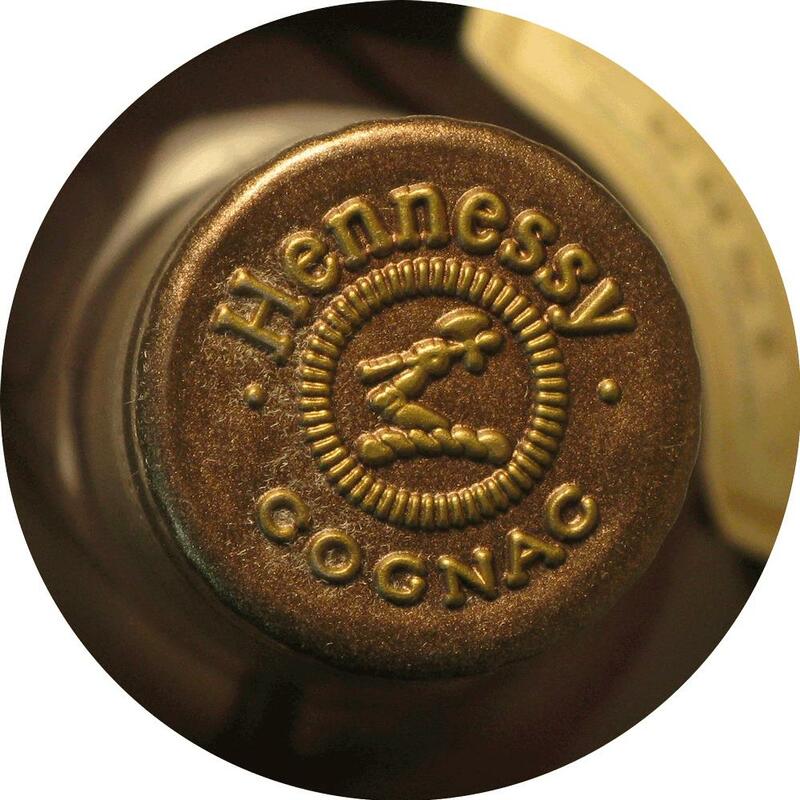 Since 1813 the company is called Jas Hennessy & Co and today it is part of luxury group Louis-Vuitton-Moet-Hennessy (LVMH). Hennessy is also one of the most recognized Cognac brands worldwide – the bottles are very popular in the US. 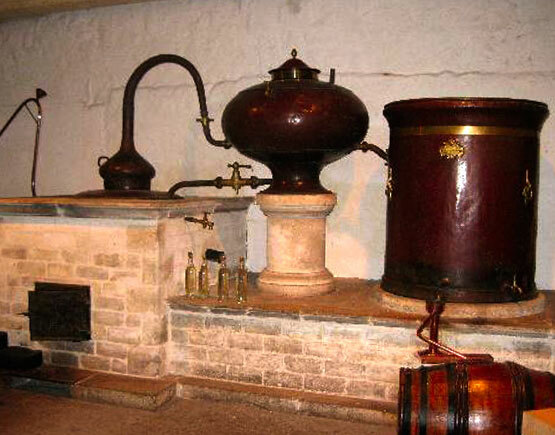 The Hennessy cognac distillery was founded by Irishman Richard Hennessy in 1765. 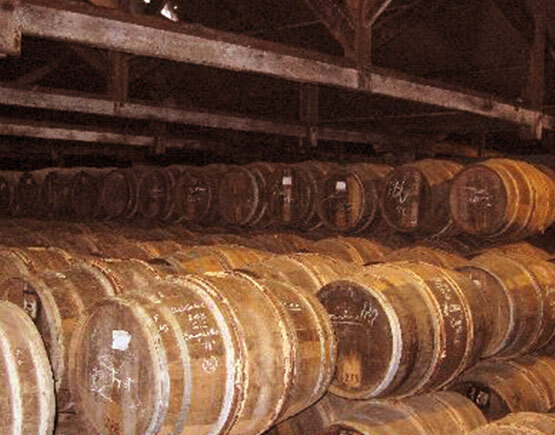 During the 1970s, Kilian Hennessy, a fifth generation direct descendant of Hennessy, became the CEO of Hennessy, succeeding his first cousin Maurice-Richard. Kilian Hennessy spearheaded the company's 1971 merger with Moët et Chandon, which created Moët Hennessy. 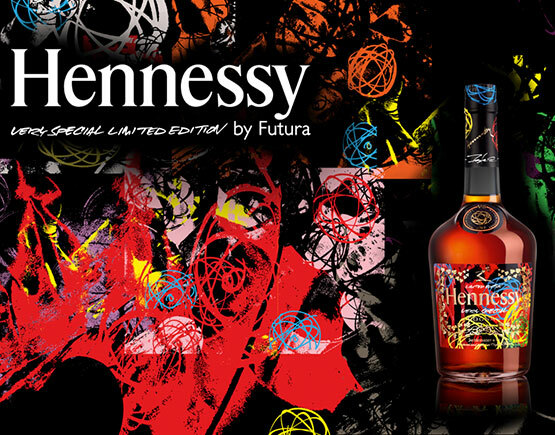 By far the greatest of ‘the big four’ is Hennessy, without contest. 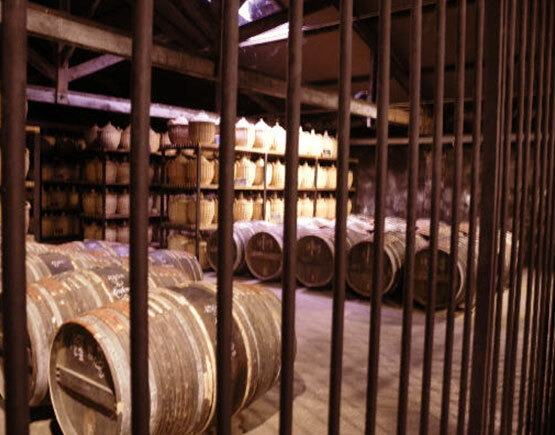 And being established in 1765 , Hennessy is also one of the oldest cognac houses. The full name is ‘Jas. Hennessy & Co.’, Jas being short for James. But it was not James who started dealing in cognac, it was his father Richard Hennessy, who was born in 1724 on the Ballymacmoy estate in Ireland. 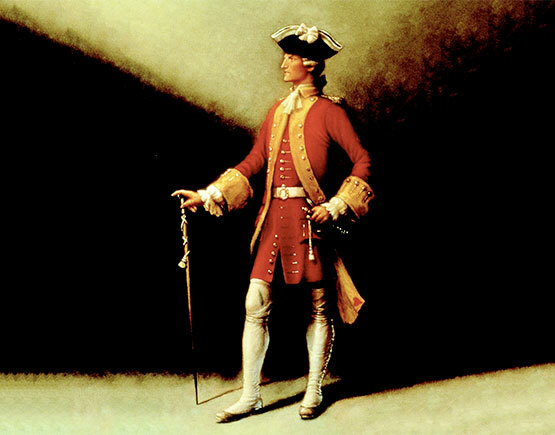 As a young man Richard joined the Irish brigade of the French army of Louis XV. He left the army after five years (not ten as is stated elsewhere) in 1753 and started working in France, first in Ostende and Dunkerque, later on in Tonnay-Charente where he discovered how profitable the brandy business could be for an enterprising young go-getter. 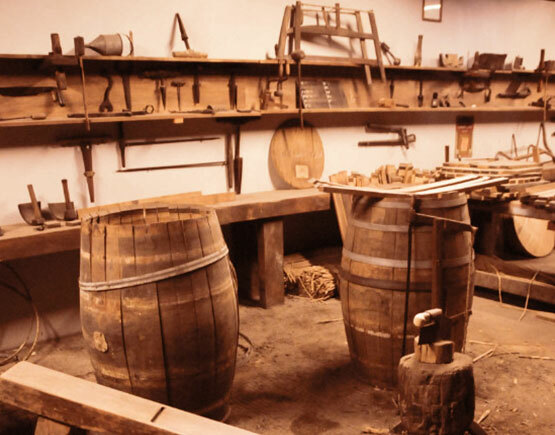 In 1765 he moved to Cognac and started his own firm. 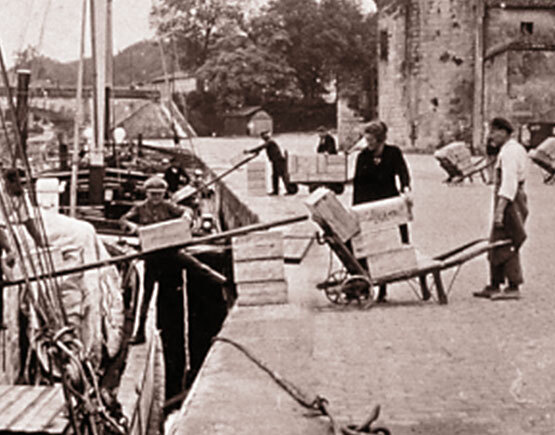 That same year his son James was born – called Jacques in France - who was to give his name to the firm in 1813 and who by many is recognized as the true founder of the company. But before we come to speak about James, first back to Richard. He did not start on his own, but together with two fellow-landsmen, Connelly and Arthur. During his life he also partnered with other people, like John (Jack) Saule, George Boyd and Sam Turner. His son James joined the company already on a young age. 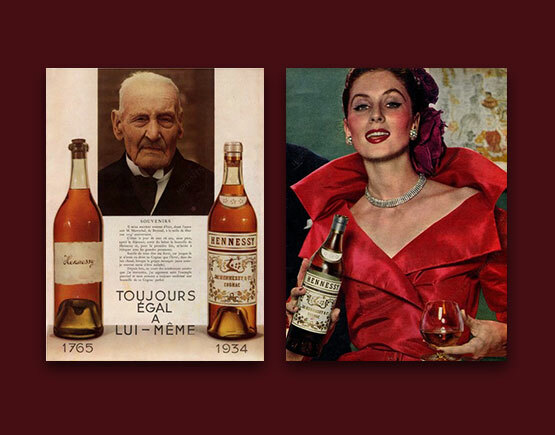 So the first decades of its existence the company knew several names: Hennessy, Connelly & Arthur, Hennessy-Connelly & Cie., Hennessy et Saule, Richard Hennessy et Fils, Hennessy & Turner. This can be seen as testimonial to the difficult period they went through with several highs and lows during the first half century. After Richards death in 1800, James takes over – still in partnership with Sam Turner - and already in 1801 bankruptcy is luring. They got saved by a loan from Martell who was James’s father-in-law, James being married to Marthe Martell in 1795. In 1813 Hennessy and Turner end their partnership and only now Hennessy gets its name whereby it is still known today: Jas. Hennessy & Co. In fact, James is regarded the true founder of the present company. He developed the company considerably and during the first half of the 19th century they gathered an enormous fortune. But to be fair to Richard, the original founder, he too has some meaningful achievements to his name. In 1784 he got a commission from the royal court of Louis XVI and in 1794 he was the first cognac producer to ship to America. 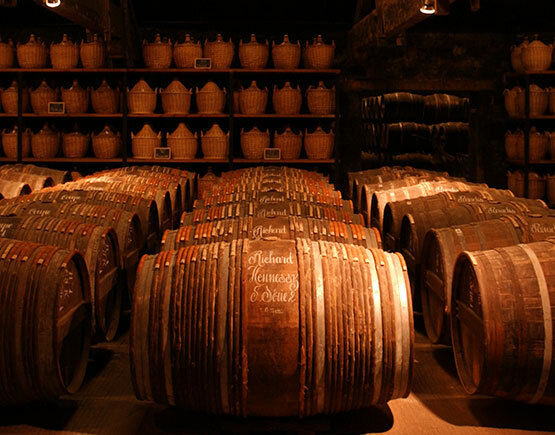 Like other well-known cognac families the Hennessy’s also played their role in public life, providing mayors and deputies to Cognac, but also ambassadors, ministers and senators. After James, another James (a.k.a. Jacques) followed. And after him August, and Maurice. All of them were of importance to the firm. 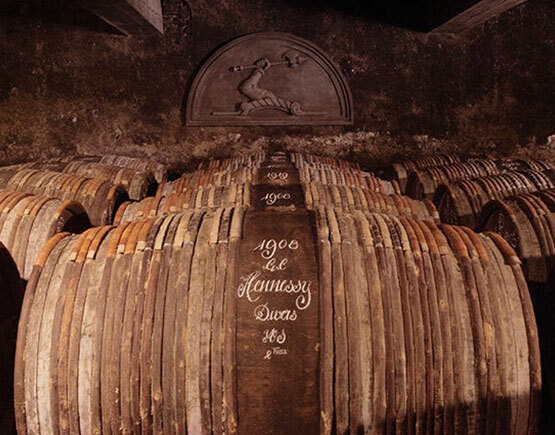 When in the middle of the 19th century the first bottle factories made their entrance, Hennessy was among the first to see the enormous potential. 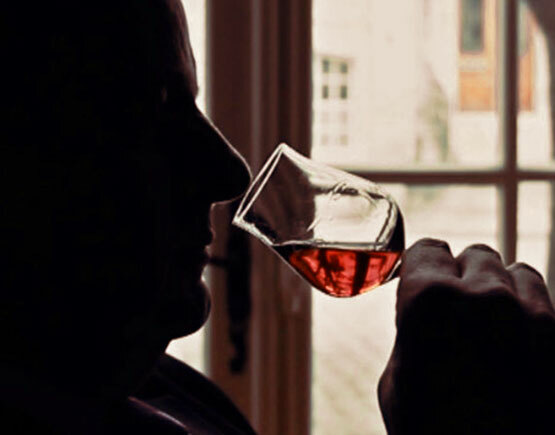 At first for guaranteeing the authenticity of the cognacs, but very soon for increasing the brand recognition. 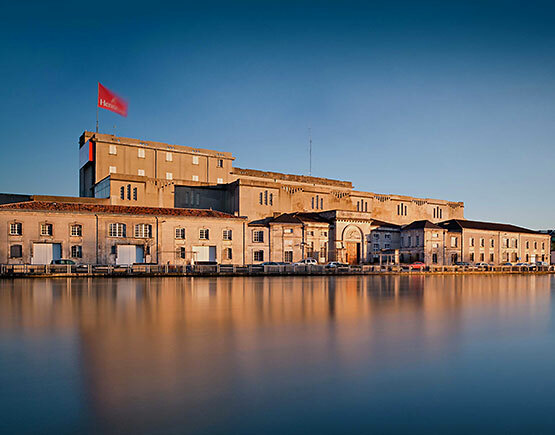 In 1864 they were the first cognac house to registrate their brand name and logo, which had become possible with new legislation in 1856 and 1857. The arm, armed with an axe, is still their emblem today and is used on nearly every bottle. August and Maurice implemented the star-system in 1865 as age-indicators and Maurice started the use of the acronym XO to mean ‘eXtra Old’ in 1870. At the end of the 19th century they were the absolute number one in sales and in riches and have stayed number one without interruptions. One very important family clan that must be mentioned here has had an enormous impact on the quality of the Hennessy brand: Fillioux. Already at the end of the 18th century Jean Fillioux joined the company and after him seven Fillioux descendants have followed him. They are all famous for their ‘nose’. Even today a Fillioux scion is still cellar master at Hennessy, though his name is Renaud de Gironde, a nephew of Yann Fillioux. He is of the eight generation. Every morning around eleven o’clock he and seven other members of the tasting committee gather to evaluate samples of eaux-de-vie. Two of them are trainees that attend these sessions for 10 years before they have any say in the tastings, but after this period they have a life-long career ahead of them. In the nineteen sixties a real take-over and merger boom took place. Many companies were in dire need for more capital. Monnet, Courvoisier, Bisquit, Gautier, Hine and many others were bought over or merged with other parties. And in 1971 Hennessy too found a partner in Moët-Chandon. Sixteen years later Hennssy-Moët-Chandon merged again, now with Louis Vuitton to become LVMH, world’s greatest conglomerate for luxury goods. For a long time the Hennessy’s have stayed in charge after these mergers, but since 2004 the new CEO is Bernard Peillon, who started working for LVMH in 1994. 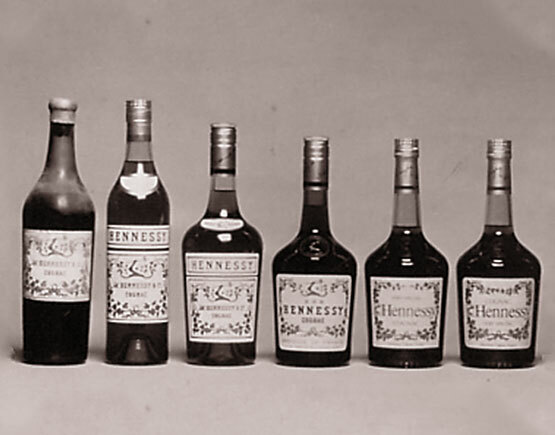 Hennessy has produced many, many different bottles and all of them are collectors items, even the newest ones. From the ordinary three star and VS bottles at the low end of the spectrum to the Paradis and Richard Hennessy at the upper end. Also very popular are the limited editions, specially the VS, VSOP and XO limited editions that were designed in collaboration with several different famous designers and artists.